If the release of the iPhone 8 and iPhone X is any indication, then Apple is prepared to dive headlong into wireless charging via its new Airpower wireless charging. 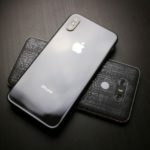 With the addition of the feature to Apple’s flagship products, as well as the company’s admittance to the Wireless Power Consortium, it’s probably a safe bet that wireless charging will become a standard feature for many Apple devices moving forward. Another hint at that possibility was the surprise announcement of AirPower at the company’s fall announcement event. But other than a catchy moniker, what is AirPower, how will it work, and how can Apple ensure that it’ll stand out in a crowded market? Here’s everything you need to know. 3 Which devices will be compatible? 4 How is it different from other wireless charging out there? 5 When Can We Expect It? 6 How Much Will It Be? AirPower is, basically, a sleek wireless charging pad. Although Apple already sells various wireless charging pads on its online store, AirPower is the first such accessory that’s being made by Apple itself. So, presumably, it’s worth venturing that it’s the first charging pad to be made with Apple’s products at their primary focus. The charging pad will be able to charge any iPhone with wireless charging capabilities, as well as the company’s flagship Apple Watch wearables. As an added bonus, it’ll also be able to charge AirPods, but only with the new, wireless charging-equipped version that Apple showed off earlier this year. That case has yet to be launched, but it’ll likely debut with the announcement of a second-generation of AirPods, or perhaps alongside AirPower itself. 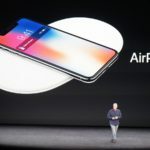 Rather than coming up with its own proprietary solution, Apple has based AirPower — and the devices it charges — on the Wireless Power Consortium’s Qi standard. It’s the same wireless charging tech used across many popular Android devices. 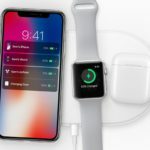 Apple quietly became a member of the Wireless Power Consortium last year, hinting that it would use Qi in its devices even before the announcement of the iPhone 8 and iPhone X.
Apple had previously used a spinoff of Qi for its Apple Watch, but that proprietary version of the standard wasn’t compatible with other Qi chargers. This time, it seems Apple has changed its mind about compatibility, as the iPhone 8 and X are compatible with other Qi chargers. As far as the charging tech itself, Qi is an inductive charging standard. 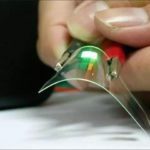 In the simplest terms possible, Qi uses electromagnetic fields to transfer power from a base station to a device. When a device is placed on a pad, it communicates with the base station and uses a “handshake protocol.” If charging compatibility and other factors check out, then charging commences. As stated above, the devices that will work with AirPower include the iPhone 8, iPhone 8 Plus, iPhone X and the company’s various Apple Watch wearables. At least for now. It’s almost a certainty that at least some of Apple’s 2018 iPhones will also sport Qi-based wireless charging. Again, Apple’s second-generation AirPods charging case will also support wireless charging, but there’s no word on when that product will launch. Currently, there are no iPads with wireless charging. 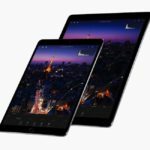 And, because of the difficulties in form factor, it’s probably safe to assume that upcoming iPad Pro models won’t feature wireless charging. Additionally, since Apple is a member of the Wireless Power Consortium and is using the Qi standard, it stands to reason that other, non-Apple devices could also be compatible with AirPower. Of course, we shall soon see if that’s an option. 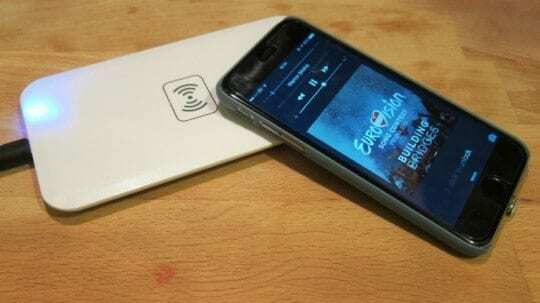 How is it different from other wireless charging out there? AirPower’s highlight feature is the ability to charge three devices simultaneously. That means you’ll be able to plop your iPhone, your Apple Watch, and your AirPods onto the pad, and the charging mat will power them up all at once. To be clear, there are other third-party charging pads on the market that can charge multiple Qi devices at once. But AirPower is likely to be different in one key way. 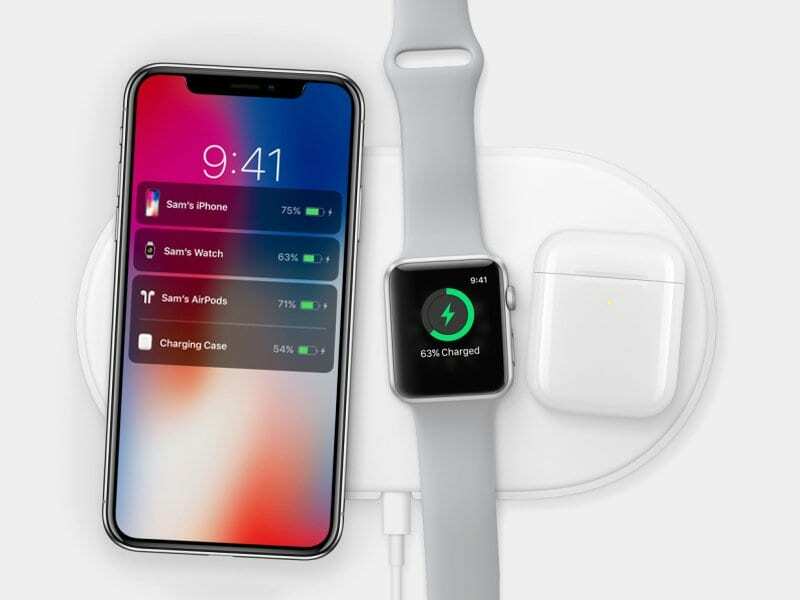 Apple’s AirPower appears to be the first mass-market wireless charging system that takes advantage of the Qi protocol’s ability to handle multiple devices, regardless of their location on the pad. This is huge advantage as one Apple fan remarked on Reddit recently. I am very excited about the AirPower because of one aspect that I think has been over looked: the ability to charge multiple devices without having to align them on the pad. Other multi device Qi chargers require you to place the devices on a specific space because every device needs to be aligned to its own charging coil but Apple seems to have invented a technology that allows any of three devices to be place however the user wants to place them. Devices on the pad communicate their location, and the inductive charging field is only induced for a location on the pad that currently has a device on it. For comparison’s sake, other multiple-device charging pads — like the Incipit Ghost 220 — rely on specific charging locations with their own charging coils. So, it appears, Apple is the first company to use this Qi ability. Of course, there’s also the question of whether Apple will share its spin on the Qi technology with other members of the Wireless Power Consortium. That’s part of the reason for the WPC, but there’s no explicit requirement for any company to share their tech with other members. Because of the first-party nature of AirPower, Apple is also able to implement some other features that require tighter integration between hardware and software. For example, a compatible iPhone placed on an AirPower mat will display charge indicators for other devices that are charging on the mat. In other words, your iPhone will let you know how charged your Apple Watch, AirPods and AirPods charging case are, too. That’s a handy way for users to view all of their device’s charge levels at a glance. Arguably, AirPower also benefits from being an Apple product. As such, it sports Apple’s iconic minimal aesthetic and “it just works” design philosophy. While that’s not necessarily a boon for everyone, for users who already plug into the Apple ecosystem, AirPower might be more of a natural choice. Currently, Apple hasn’t given much word on when AirPower will launch. The only indication of its possible shipping timeline is the vague announcement that it’ll arrive “early” this year. It’s possible that the Cupertino tech juggernaut could launch the device at a spring event announcing other new products. Alternatively, Apple could simply update its online store with the new product — as it has done in the past for other releases. Either way, judging by Apple’s “early 2018” timeframe, and its historical use of that term, it’s likely that we’ll see AirPower ship in the first or second quarter of the year. Similar to the launch date, Apple didn’t announce any information on how much AirPower will cost. 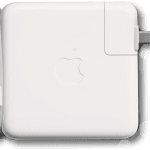 Being a first-party Apple product, it’s probably safe to assume that the charging pad could retail for slightly more than similar products on the market — particularly with its unique multi-device charging capabilities. Additionally, last November, AirPower temporarily appeared on a Polish retail site. While every sign points toward that appearance being a mistake, we did get the slightest hint of a price: 999 PLN. In U.S. currency, that’ll likely translate to a price tag of $199 in the United States. Of course, take that with a grain of salt. We won’t actually know how much AirPower will run until it launches.